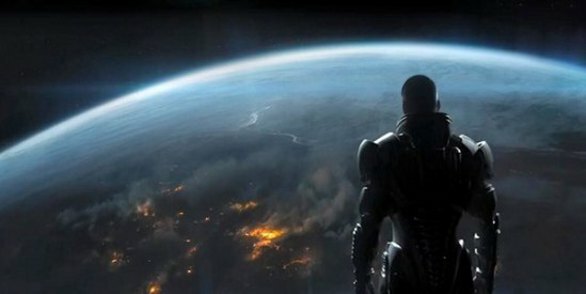 The controversy over Mass Effect 3’s ending is long-since dead and gone, but the lessons learned from it – both by fans and by developers – still resonate within the community even now, more than a full year after the fact. For those of you who need a bit of a refresher, things kind of went something like this: Mass Effect 3’s ending was rushed and awful. Fans expressed outrage that it was rushed and awful, and demanded that Bioware changed it. After one of the biggest media frenzies seen in the games industry, Bioware eventually acceded to its players. Oddly enough, this caused even further polarization throughout the community. There were many who claimed that changing the ending was a mistake – that, as a creator and artist, Bioware had a responsibility to ensure the artistic integrity of their title. Changing the ending simply because the fans demanded it was an insult, and represented a failure on the part of Bioware to stand their ground and stick to their guns. Those who opposed the extended cut included in their numbers gamers, journalists, and even developers and designers. The arguments seem very clear-cut, no? If video games – as we’ve maintained for well over a decade now – are well and truly art, then does not any change made to said games on the behalf of anyone – be it fans, publishers, or critics -somehow make their position less legitimate? Does not Bioware’s decision somehow undercut their title’s status as a work of art; their status as artists? The truth is, creative control works a little differently in the medium of gaming. Games aren’t static, unchanging modes of entertainment. A game isn’t a painting, or a movie, or a novel. A game is an experience; a mercurial, ever-changing represents a conversation between player and developer; a dialogue between creator and consumer. Games are art; yes, but at the same time, they’re something more; a player will generally engage with a game like Mass Effect to a much greater degree than they would with another product. Further, we cannot forget that games are ultimately commodities, even if they can be considered artistic ones. As with any other product, if a customer has a problem with that product – if they have a concern with how something works – they can take their complaints back to the original developer. If enough people complain, the developer might be forced to change that product. It’s the same deal with games: changing how a game ends because of a fan outcry doesn’t somehow make it less legitimate as a work of art. Quite the contrary, actually: the simple fact that the fans are willing to cause such a stink means that they were drawn in and engaged. They loved the experience enough that when it ended in a less-than-satisfactory manner, they rose up. Finally, let’s talk about logistics. See, there was a point, years ago, when developers would listen to fan input between iterations of their franchises, and adjust according to what they heard. Now, with new and more modern methods of distribution, developers are equipped with the Developers can adjust their titles in real-time. In short, due to their unique position, games are a malleable art form. They can be shaped and reshaped, molded by both gamer and developer; and still retain everything that made them art in the first place. Do developers still have the final say in how their product turns out; full creative control over what they do with their games? Most definitely. At the same time, they ignore input from their players at their own peril. After all, these are the people who are going to be playing the title – one would assume that they know what they want, no? Ultimately, it’s up to the development staff to decide where the line is drawn, to determine when they’re going to say no to their fans. And that’s exactly how it should be. Anyway, that’s enough rambling for today. Next week, we’re going to delve into the idea of a final boss – and whether or not it’s necessary for a satisfactory video game narrative. Until then, keep exploring.